One of the things I hate, makes me feel a little bad, but then, on the other hand, I won’t spend too much time worrying about is when I tell someone where to go for a certain dish because I think it’s outstandingly good and they have a bad experience. 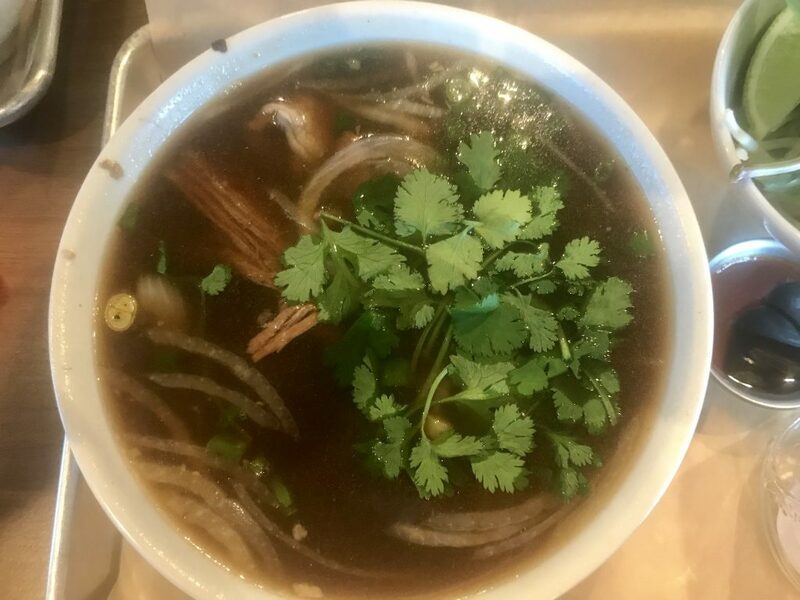 The pho at the Edge Steakhouse is one of those instances. I told a friend that he should come here because it’s delicious. His response was something to the effect of, “it tasted like roast beef flavored water”. Was it just an off night for the broth? Long story short, I’ve made it back to the Edge to try the pho again and you know what? It’s still delicious. The service was great. The atmosphere was still good. Nothing had changed. Sometimes you just gotta chalk things up to personality, tastebuds, and the person’s mood when they’re eating. All of those things can mess up a meal and none of it in anyone’s control.